Helen Noreen Struhsaker, died April 6, 2019, 3 weeks shy of her 93rd Birthday. Born in Delta, Ohio April 30, 1926, she spent a majority of her life in Cuyahoga Falls. She married her high school sweetheart, a World War II naval aviator, in Pensacola Fl. Together they raised 4 children, 12 grandchildren, 4 great grandchildren. 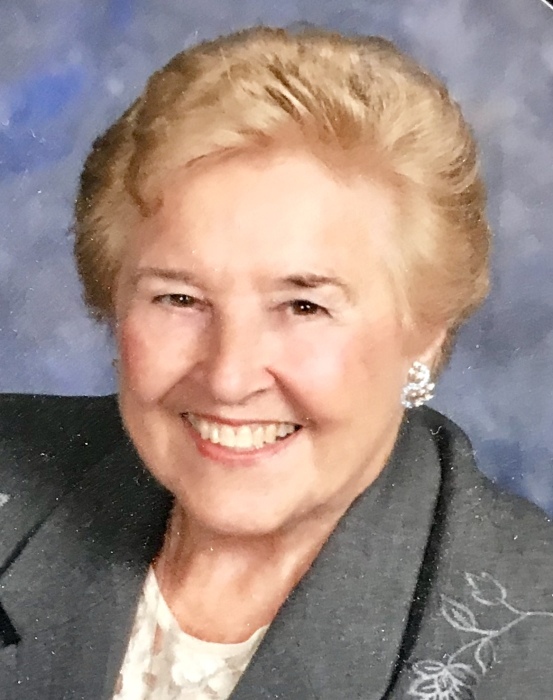 A lifelong member of St Luke’s Lutheran Church, she was very active in charities and volunteered for 45 years for both the Red Cross and League of Women’s voters. She also ran the St. Luke’s Senior Day Care Center for 35 years. She was preceded in death by her husband of 53 years, John Struhsaker; by her parents, Josephine and Marion Green; her sisters, Aleane White and Betty Bushman; her brothers, Bill, Bob, Bud, and Jim Green; and her great granddaughter, Jessica Wargo. Helen left a loving family that includes children, Jolea (Glenn) Swann, Christine (Patrick) Daley, John (Laura) Struhsaker, and Paul (Mindy) Struhsaker; niece, Earleen Ashbrook; grandchildren, Angela Wargo, Michael (Kim) Daley D.C., Steven (Mary) Swann, Jamie Robinson, Walter Swann, Shannon (J.C. Walton) Daley, Becky (David) Miller, Leah Struhsaker, Abbie Struhsaker, Sophie Struhsaker, and Claire Struhsaker; great grandchildren, Elizabeth (Matt) Plouse, Grayson and Harper Swann, Owen and Liam Plouse, Mackenzie, Pennington, and Rehs Daley; along with many other nieces, nephews, and cousins. The family would like to thank special friends, Pastor Jim Steingass, Virginia Lee, Dr. William Bauman, Dr. Matt Chandler and all the Summa Medical ICU staff, and Dr. Luke and the Summa Palliative Care staff. Services will be held 11 a.m. Thursday, April 11th at St. Luke’s Lutheran Church where friends may call one hour before the service. Interment will follow at Northlawn Memorial Gardens. In lieu of flowers, memorials may be made to St. Luke’s Lutheran Church, 2121 Sixth St. Cuyahoga Falls 44221.